Fit for Success: I Scream, You Scream, We All Scream For... BREAKFAST! I Scream, You Scream, We All Scream For... BREAKFAST! In case you didn't know, not only is breakfast my favorite meal ever, but it is also the most important! In order to keep your metabolism in high gear, a nutritious breakfast is crucial- and you can continue to keep it running high by eating about 5 smaller meals throughout the day. What are you having for breakfast today? Here are a few of my favorites! If you've read my previous posts, you know that I'm a huge fan of special k.... If you're carbing up for breakfast (smarter to "carb up" in the morning instead of at dinner so you can effectively use this energy throughout the day, rather than letting it go unused in your body while you sleep at night- causing it to turn into sugars! 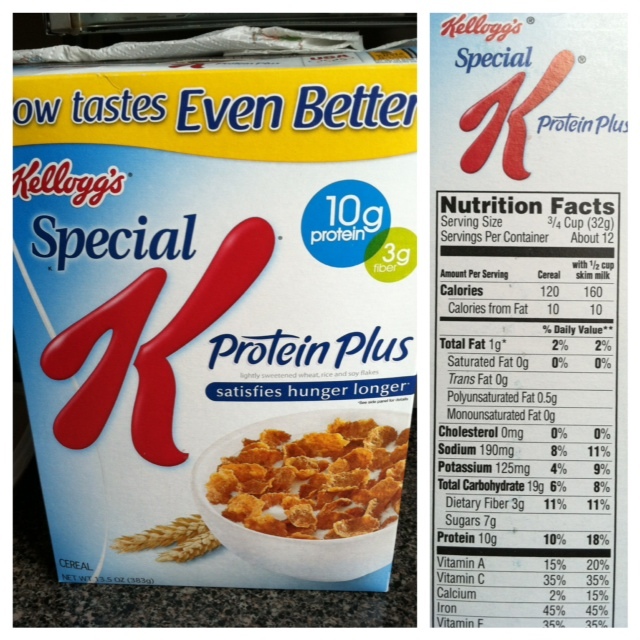 ), I suggest the Protein Plus Special K. With 7g of sugar, it is a little more attractive than my other favorite flavors (Fruit & Yogurt), but it also PACKS 10g of protein into each serving! 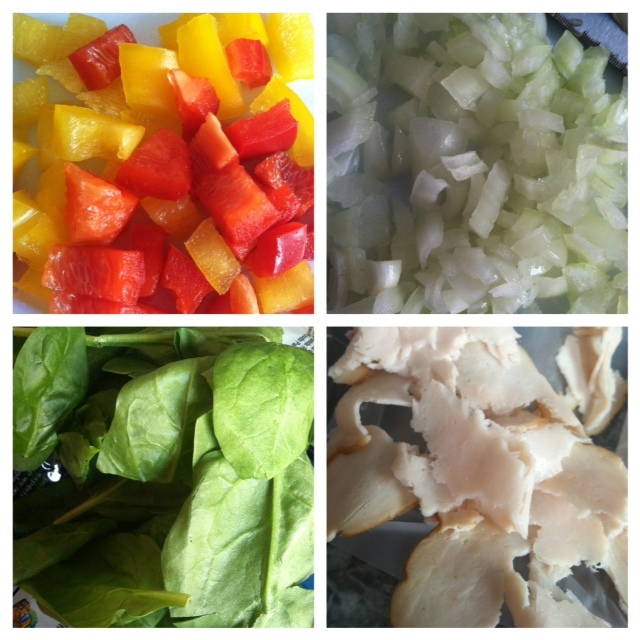 This will keep you fuller for longer and will help to build that muscle! Just make sure you measure out each serving so you know what you're putting in your body. Otherwise, it is super easy to accidentally eat 12 servings... this stuff is good. I get asked all the time if coffee is okay to keep in your diet. Personally, I say YES! And so have the few trainers I've spoken with! Honestly, I wouldn't want to live without it! It is my favorite treat, and dieting is NOT about depriving yourself. So I happily enjoy coffee every morning. However, it IS important that you aren't packing your coffee full of sugar and cream. 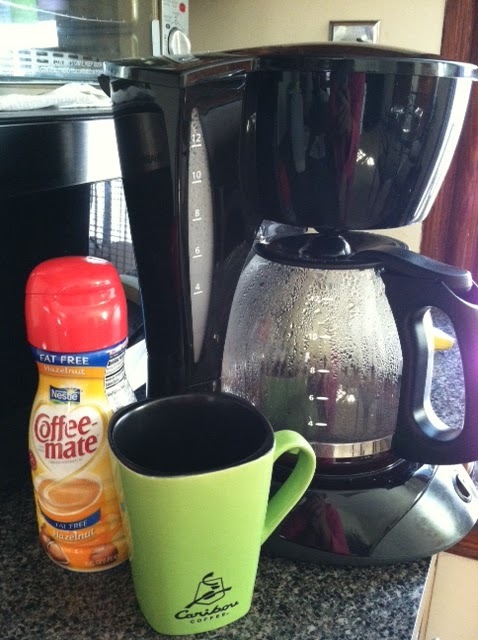 I chose to make my coffee every morning, not only because its cheaper, but because I know exactly what is going in it. 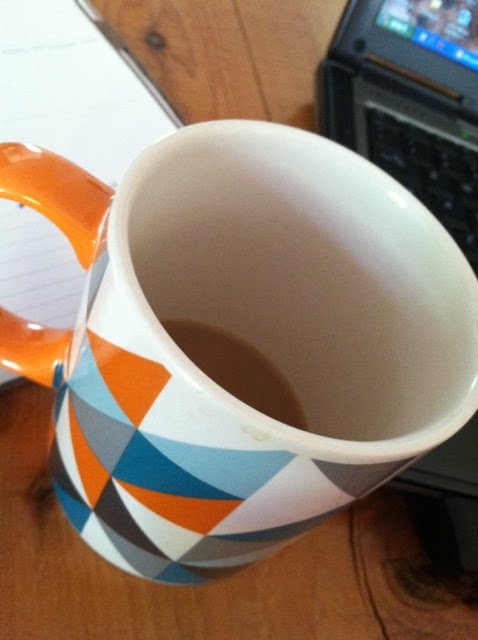 My coffee is complete with a 1/2 teaspoon of sugar, a dash of skim milk, and 1 tablespoon of creamer (pictured here is Fat Free Hazelnut- yum!) And yes... I measure every thing out with measuring spoons! This enables me to know exactly what I'm putting in my body. Oatmeal is also a wonderful choice for breakfast! It is quick and easy and helps to keep you full! I enjoy the "lower sugar" kind, which only has 4g and about 120 calories. 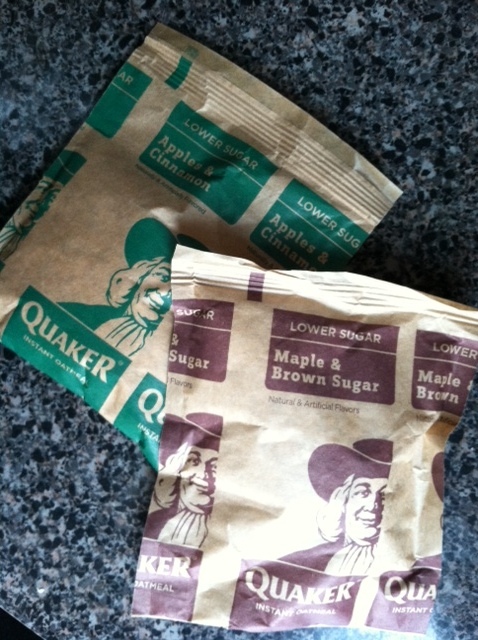 If you have extra time in the morning, make your own oatmeal and add a small amount of brown sugar! Dice up peppers (red and yellow pictured here), onions, spinach, and 2 slices of deli turkey. 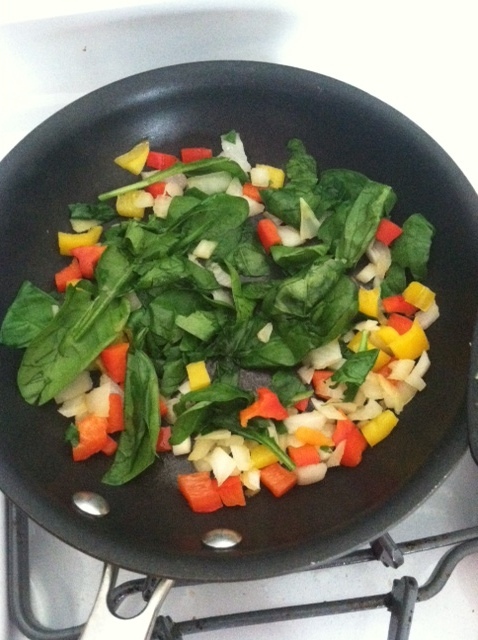 With a squirt of PAM, let the veggies cook on medium to medium-low for a few minutes. Sometimes I cover this so that the peppers and onions can soften up. 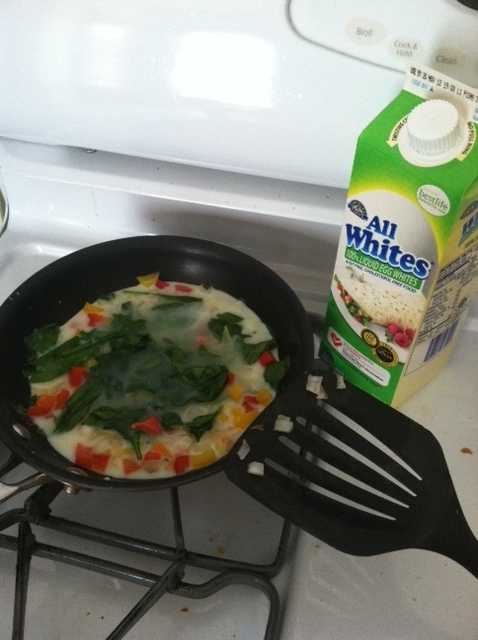 Then add in your egg whites! I usually do 6 Tablespoons, make it more if you're hungry! 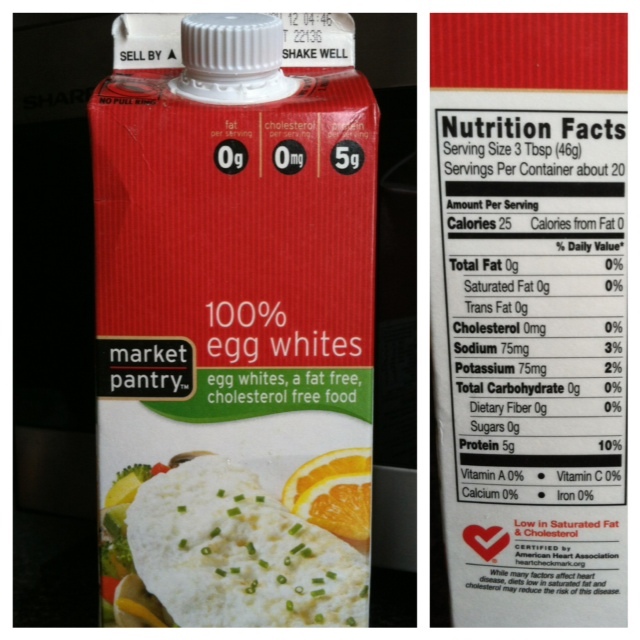 The beauty of egg whites is that they are super filling for only a small amount of calories! When they are just about done cooking (not runny, slightly browning), add in your diced turkey slices. 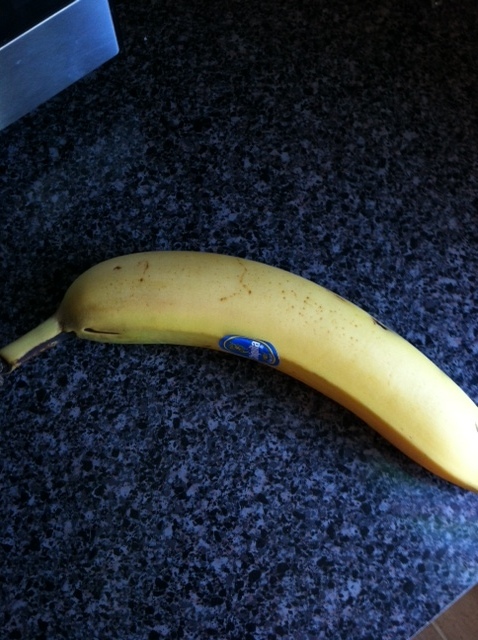 Bananas are my breakfast staple. If I'm not eating one for breakfast, it usually ends up being my mid-morning snack. So much deliciousness. Lastly, Oatmeal Squares! These keep you full FOREVER! 5g of fiber, 6g of protein, and a heavenly taste. I actually enjoy these more when I'm on the run. I measure our a 1/2 cup of this dry cereal and enjoy it for a snack during class or when I'm away from home. 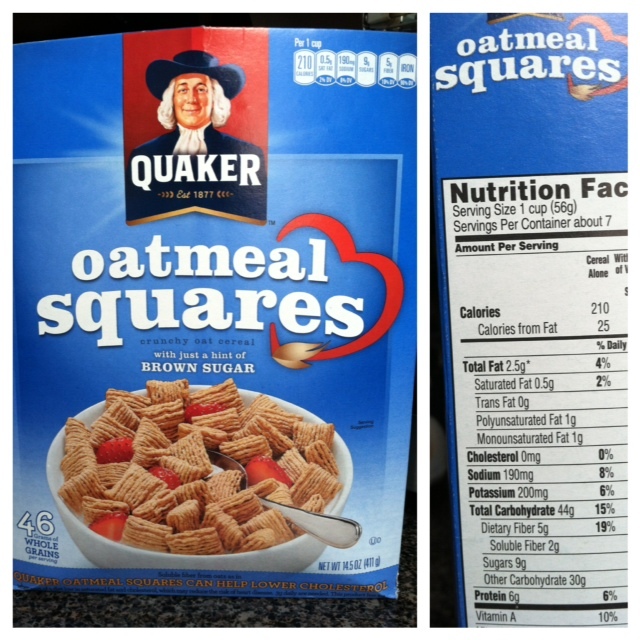 And notice how it has 46 GRAMS of whole grains.. per serving!? That is just about ALL you need for the ENTIRE day! Rock on! I still suggest switching all of your "white" products to "wheat", but this sure is a quick way to get in those heart-healthy grains. So what are you waiting for? 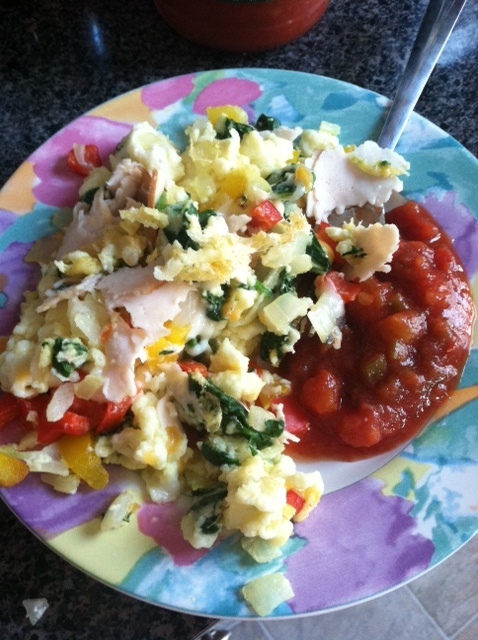 Go enjoy a delicious breakfast and jumpstart that metabolism! Yay! I got a comment! Thanks for taking a minute to read it! Love you Jaycee!